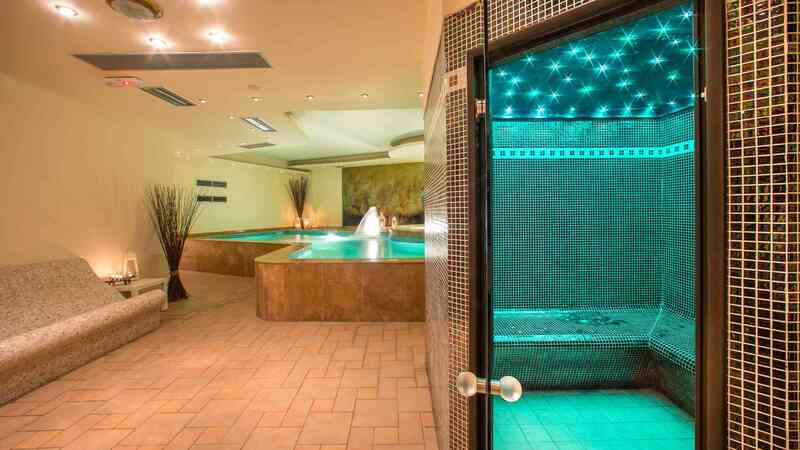 OLYMPIC Hotel welcomes you to its most modern and innovative facilities in the SPA WELLNESS area. 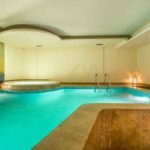 A set of relaxing and stimulating activities, modern and traditional in a perfect functional combination, heated swimming pool, sauna, spa, hammam, aromatherapy, chromotherapy, Roman baths, adventure shower, massage and solarium, were regenerated with modern equipment in luxurious facilities and come to you enjoy moments of relaxation and enjoyment. 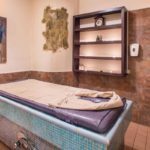 Treatments are provided to our hotel guests as well as to outdoor guests. In case you want to use the spa facilities, please bring your swimsuit. Please let our guests plan their appointments two to five days in advance to ensure the availability of therapists and the desired treatment. To book your appointments, please call at the OLYMPIC hotel reception at the following telephone numbers: 2323023811 and 2323023812. Open daily (last appointment 11pm). Private Jacuzzi: Open daily by appointment. Advanced dehumidification systems help maintain the right climate for a comfortable stay in the room. 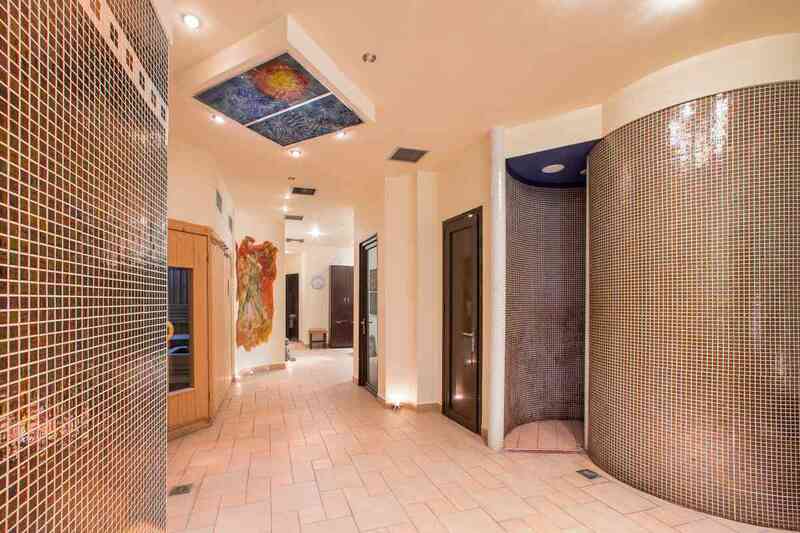 OLYMPIC hammam offers an unparalleled combination of steam bath, aromatherapy and chromotherapy. 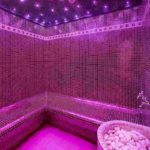 It is particularly beneficial for the respiratory system, improves circulation and moist heat cleanses and tones the skin. Helps in the immune system, offering complete body and soul relaxation. Aromatherapy of Hammam: The combination of steam and aroma offers greater results to people suffering from respiratory problems. 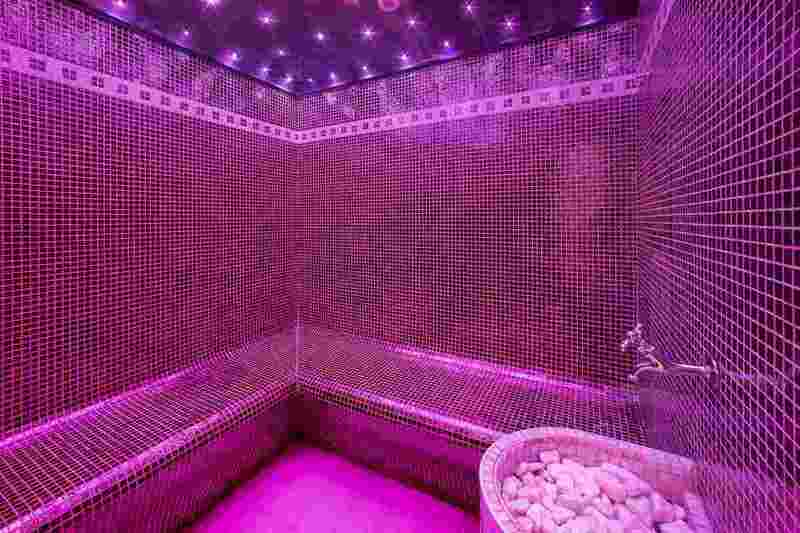 Hammam chromotherapy: It is recommended to use light and color as an alternative treatment method. It manages to change your mood according to your wishes. Restore your vigor and vitality, relax your muscles, increase energy and strength, strengthen the senses and soothe the skin. Get more resistance to illnesses, improve the feeling of general euphoria. 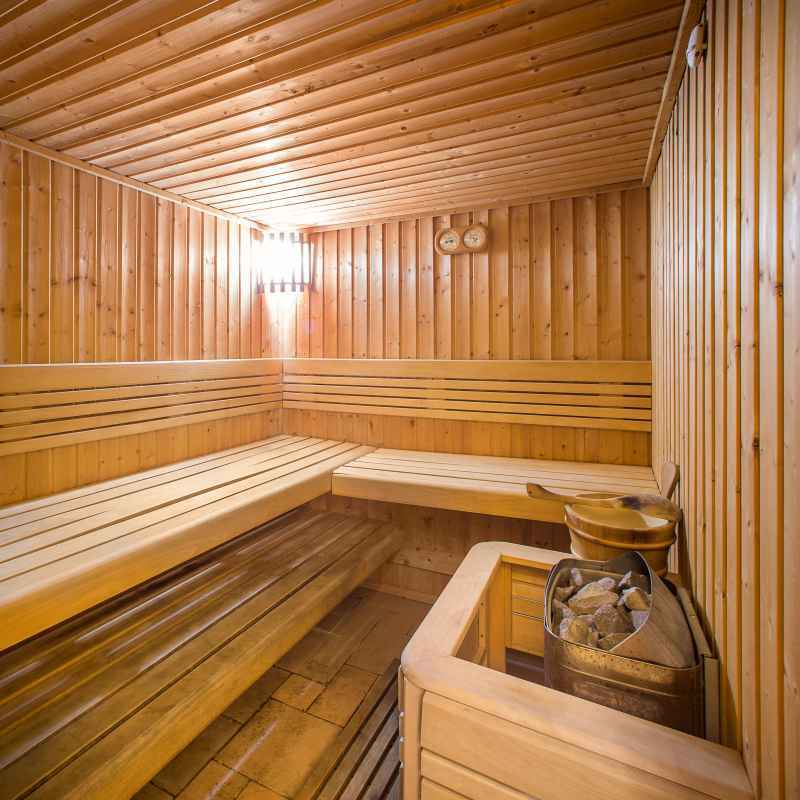 All this with the use of the sauna that increases the temperature of the body, dilates the vessels and increases the circulation. Increasing blood circulation, helps the immune system and eliminates toxins and unnecessary residues in the body and speeds up your metabolism. Special and high-quality filtration and automatic water disinfection systems protect the bathers' hygiene. 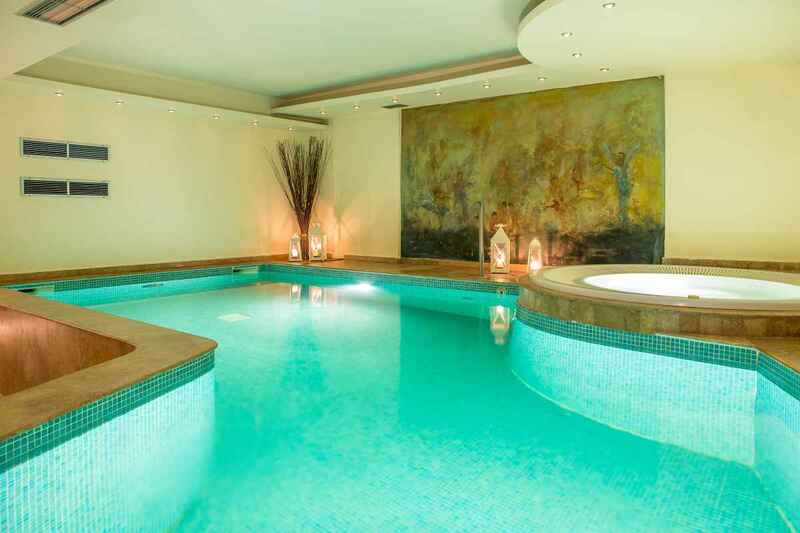 Counterclocking systems, cascade, neck massage make up the OLYMPIC SPA pool, giving you the ultimate rejuvenation. Relaxation area is an integral part of our space. 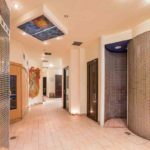 After the rejuvenation and healing procedures, guests can relax, enjoying the feel of the heated bench, music, colors and fragrances of the area. 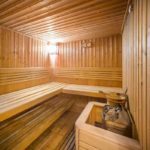 Intermediate cleaning procedure for use of sauna and hammam. Shower Different Experience. Program 1: Morning mist. Combination aroma-illumination-sound-cold mist, refreshes and refreshes. Ideal after the sauna. It has a stimulatory effect on the heart and circulatory system. Program 2: Tropical rain. Combination aroma-lighting-sound-tropical rain drops forcefully on the skin. 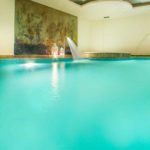 Creates the perfect body preparation to accept the warmth of the Jacuzzi. Ideal after hammam. An experience you want to live again and again. A sunbathing tan experience that gives your skin the most natural, golden and bronze tan you can dream about ... for your vacation, or for any occasion all year round. Tanning for the whole body and face with the most sophisticated and safe standing solarium. 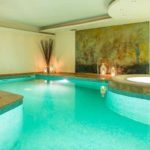 The healing properties of water are considered as a natural treatment that causes physical, mental and mental relaxation. 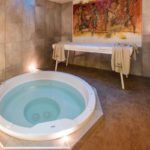 The combination of air-massage whirlpools, creates an enjoyable relaxation. Therapeutic massage is definitely one of the best and most enjoyable forms of exercise and healing available today. Human touch can act positively and simultaneously at all points of the body without undesirable side effects.